When you are on the move, Skype WiFi is a fantastic way to browse the internet. As payment Skype credit is used for logging in to public WiFi hotspots around the world. But the company is now bringing a change to its popular feature i.e. ending the Skype WiFi. One of the features because of which Skype gained immense popularity was to enable users makes voice and video calls over the internet. Microsoft seems to have bigger plans rather than sticking to its routes. It is ending its WiFi feature in order to focus on its core features. This service will end from March 31st and users will not be able to buy WiFi access in paid public hotspots for a payment less than what is charged by the hotspot owner. Microsoft has started notifying its users on Skype. 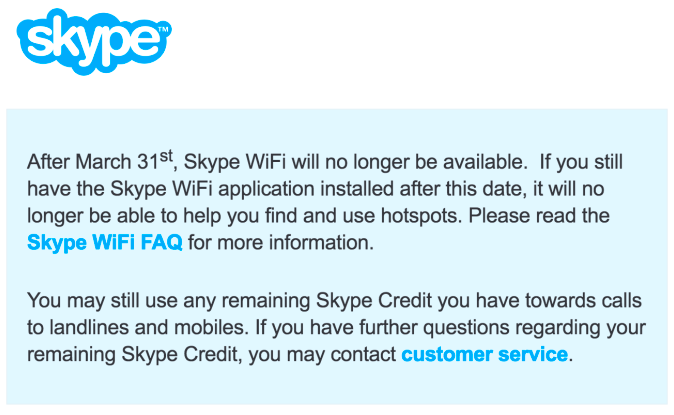 Users will not be able to download the Skype WiFi application even if they have Skype WiFi. The company is ending this service because it wants to make the experience better for users by focusing on premium Skype for business service; integration with other Microsoft services along with developing an app to rival Slack. It will also focus on services such as bot developer platform in order to keep up with Messenger Joneses. In September last year, Microsoft closed the Skype’s London office which affected around 400 jobs. After such a downscaling, one can expect to see some service closures and partnerships. The recent ending of this service should not come as a surprise as it feels as the Skype WiFi service has gone to seed. Nothing is known about how much people actually use it anymore. Another big reason for the fading popularity of Skype WiFi is the shift in the market. It isn’s as important for people as it has ben in the past. Mobile Data has changed the whole game. 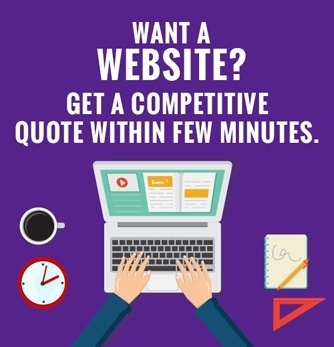 If you need WiFi, mobile data is a great way to get faster and cheaper internet in no time. After Microsoft acquired Skype in May 2011, the plan was to let the business go as usual. The WiFI product even got some development during this time and the service was rebranded to Skype WiFi. Some free access services were also added in it at chosen locations. But even then the service has been brought to an end. Users with Skype credit can use it to purchase other WiFi services such as calling on non-Skype numbers. But for customers who have credit in their Skype accounts and they don’t use it for making any other kind of calls, they better contact customer service as there is not guarantee for refunds.